Thank you to all the parents who stayed for our Christmas Workshop this morning, we had lots of fun. 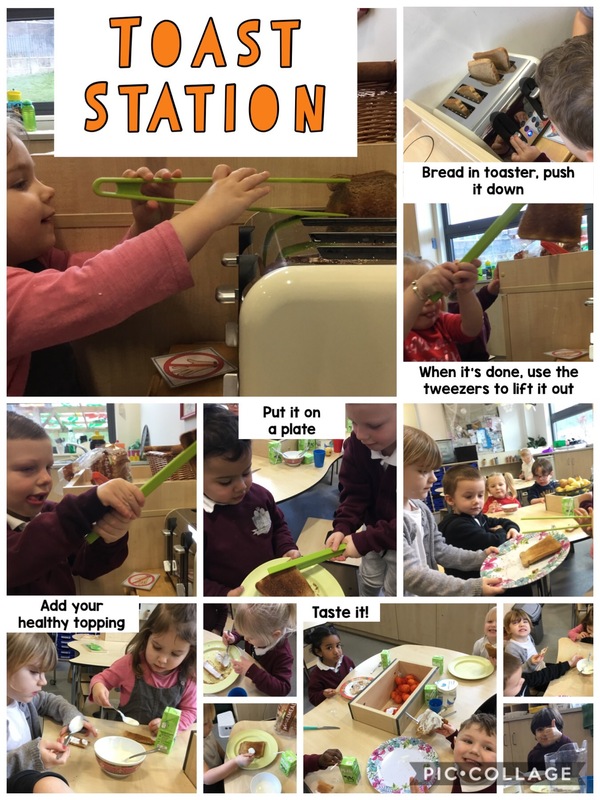 All of our activities used bits and pieces from around nursery. We saved up empty jars and cans and collected scraps of wrapping paper, foam and felt to use again. We recycled old baubles to redecorate into something new. Why not have a look around at home and see what you can find to make your Christmas crafts? All you need is an empty jar, some strong glue, a small toy, some water and some glitter. We did this job with Mrs Brown as she used the glue gun to attach our figures to the lid of the jar. Then we added water and glitter and stuck the lid on. They look great! We used lollypop sticks, pipe cleaners and wire to create our own Christmas decorations then added glitter glue and coloured to make them our own.We used felt to make mini stocking and cut more pieces to decorate. We used triangles of foam to make colourful Christmas trees then decorated and stuck to a ribbon to create a garland. We used coffee tins wrapped in brown paper and added eye stickers, art straw antlers, ears and red button noses. We used folded pieces of card and drew pictures then stuck on foam, glitter, stars and whatever else we wanted to use to make them our own. We used icing and chocolate beans to decorate biscuits to look like melting snowmen! We added pretzel pieces for the arms and used icing pens to add extra detail. We used glue and scraps of wrapping paper and tissue paper to decorate then added string to hang them. 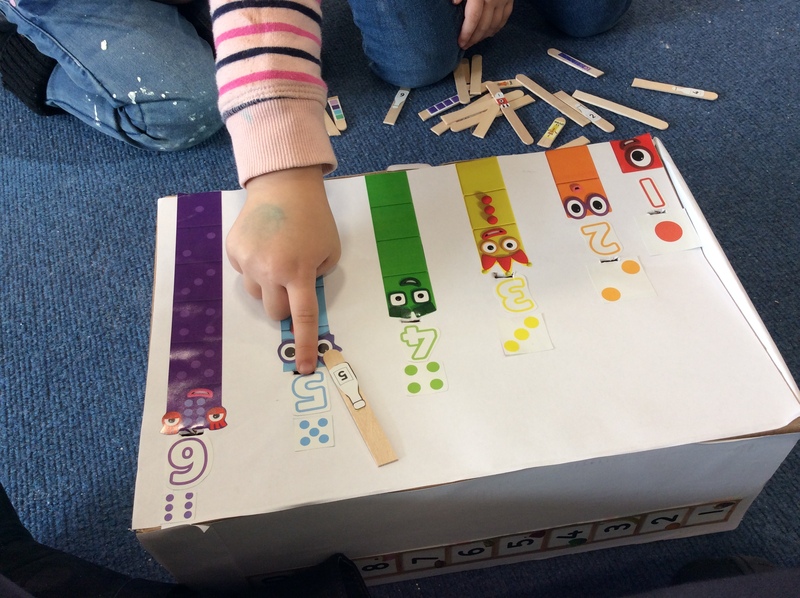 As well as being lots of fun joining in with arts and craft activities helps children to build fine motor skills that are really important for helping them to hold a pencil and learning to write. Using scissors is a great way to build hand strength and coordination and tearing little pieces of paper helps children to develop the smaller muscles in their hand and gain more control. Craft activities are also a great way to learn about colours and shapes by talking about what you see as you are making. The making is always much more important than how it looks at the end so let children do as much for themselves as you can and they will become more confident and learn much more, their creation will also be much more individual to them! We always love to see your creations. If you make something at home why not bring it to school or email us a picture? 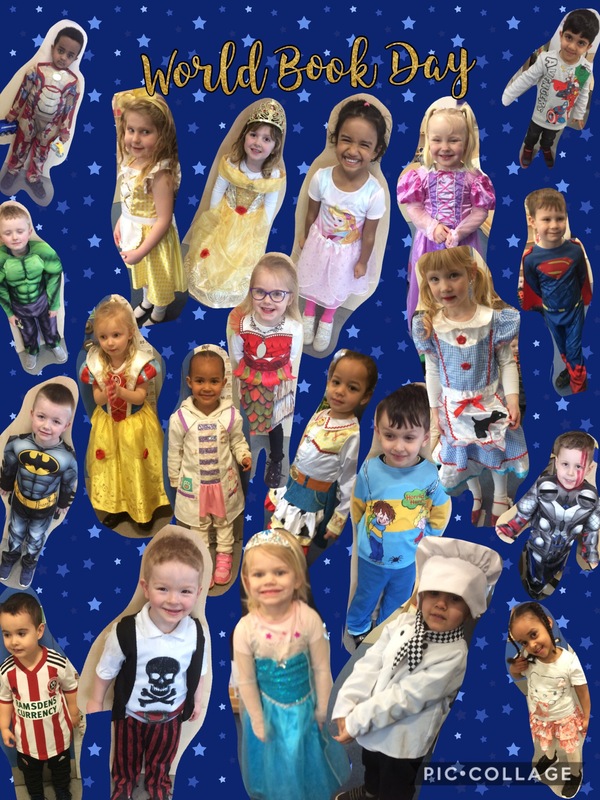 We print all the pictures you send and the children love sharing them with their friends. Read our learning story to find out how we made our GIANT slide! In nursery we love to build towers and we love to knock them down even more! We decided to learn all about towers. We learnt which shapes were best for building towers with. We learnt about balance and height and we learnt two new words – tall and short. Outside we even built a pendulum to help us knock the towers down. It was very tricky and we had to solve lots of problems such as thinking about the height of the pendulum, the length of the string, how tall to build our tower and how far to pull it back. We tried lots of different designs and we even learnt about heavy and light as we tried to knock down different towers. 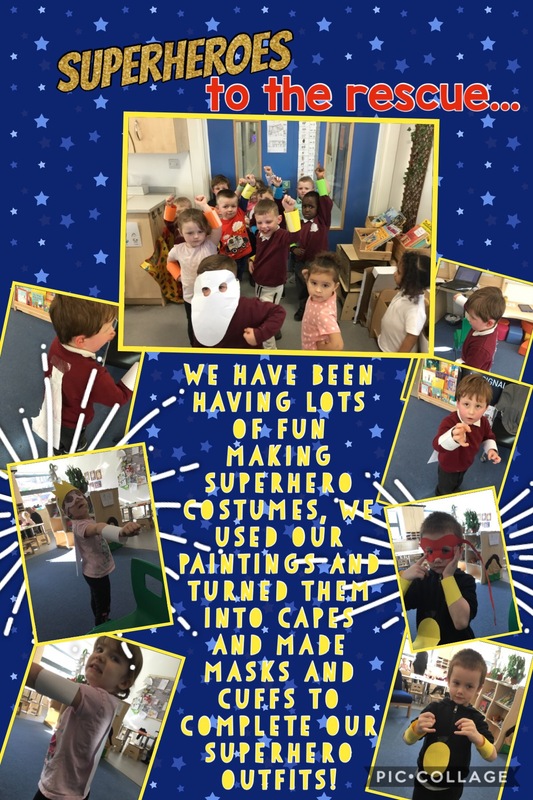 We have been having lots of fun learning about shapes in nursery. 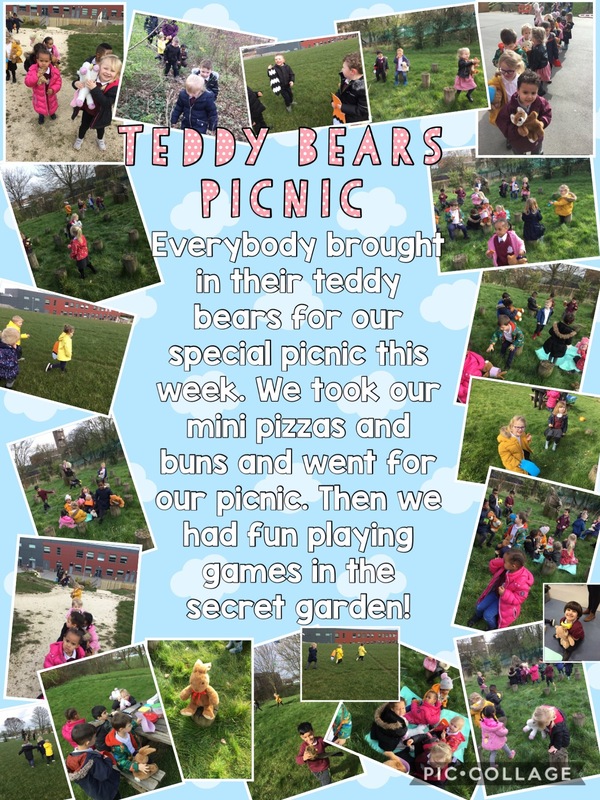 We have been sorting things by their shape and their colour, we have been learning the names of different shapes and learning to describe them with words like straight and round, we have been going on shape hunts in the classroom and outside. How can you continue learning at home? Build with blocks and describe the shapes as you use them – is it a round shape or a straight shape? Is it flat or pointy? Sort and match objects as you tidy up – find all the things that are the same shape to go in the drawer together.